Owners and employees of small businesses that assume hackers will ignore their organizations in favor of larger corporations are making a big mistake. In fact, small businesses may be the sort of “low-hanging fruit” favored by cybercriminals. 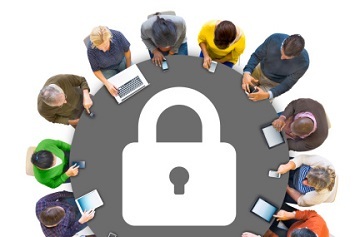 Unfortunately, many smaller companies still believe that they are immune to cyberthreats. The 2016 State of SMB Cybersecurity Report found that within a 12-month period, 50% of all small businesses in the U.S. had been breached by hackers. This clear and present danger makes it all the more shocking that 87 percent of small businesses don’t think they’re vulnerable to a cyberattack, according to a survey recently published by Manta. As many as one-third of small businesses don’t even have the proper tools or programs to protect themselves (including antivirus software, firewalls, data encryption programs, or spam filters). To remedy the problem and make their businesses harder targets for hackers, small businesses must provide cybersecurity training to their employees, take steps to ensure that all devices with access to company data are free of malware or other viruses, and be vigilant so that they can mitigate any damage should a cybersecurity breach be discovered. To read the full guide and download a cybersecurity resource kit from G&A Partners, click here.